Like many people in relationships (romantic or otherwise) me and my partner argue. In fact, we argue quite a lot. We hit a milestone the other week in which we hadn’t had a memorable disagreement in nearly a month. So naturally, without even realising, we ended the month with a massive row. It was an argument about a gift bag – which of course means it wasn’t about a gift bag at all. No one argues about a gift bag. No one shouts ‘you don’t appreciate me’ at full volume in a Ford Fiesta en-route to a friend’s 23rd birthday party because of a gift bag. Even as seasoned arguers, my partner and I are aware we could be more constructive than threatening to throw a gift bag full of presents out of a moving car on the M6. So, for the sake of staying with him for several more years, and to avoid any littering fines, we’re going to try and argue a little better: even when he says stupid things like ‘you’re only starting this argument because you haven’t written that article yet’. Below are some suggestions for our future happiness – and for anyone else who wants to argue well. It can be hard to avoid shouting when you’re feeling angry. Emotion can literally rise up your throat and come out in a loud string of expletives. I’m particularly bad for this. He’ll say ‘stop shouting at me’, and I’ll reply, ‘well stop giving me things to shout at you about’, and that’ll add a good half an hour to our ‘discussion’. It’s easy to forget that our partners can’t read our minds and get frustrated, especially if a problem isn’t getting resolved: but try to hold the thought that shouting will only make things worse. Take a deep breath, take time out if you need it and come back to the argument with a clear head and a plan for calmly expressing your issues. ‘You’ statements can feel good to say, but can cause a lot of unintended hurt. Statements like ‘YOU don’t appreciate me’ or ‘YOU’RE just using me for my NHS discount’ (one of our stranger exchanges. He’s a pharmacist who had run out of arguments). ‘You’ statements put the receiver on the defensive, and any resolution can be forgotten. Swapping ‘you’ for ‘I’ is a more constructive way to talk. Instead say ‘I don’t feel appreciated’. They allow your partner to understand your feelings better, and let you express any issues or irritations without placing blame. Why are you upset? What do you want to happen? With this kind of focus you get to understand why the argument started and what needs to change. Like you not taking his NHS card without permission. Another way to put this is to stay on topic and get to the route of the problem. Dredging up the past is rarely good: bringing out lists of ‘things you have done’ will only escalate the original argument, which is how a very normal disagreement can turn into a slagging match. A lot of time, the thing you argue about isn’t important (gift bags for example) but the way you react is. During an argument, if you need to take a time out or a pause, that is perfectly fine. Recognise the physical reactions you’re having, as these could be indicators that you need to move away from an argument if you want everything to be resolved. Breathlessness, starting to tear up, a knot in your stomach and starting to raise your voice are all signs that a little breathing space might be needed. Even if it’s just for a couple of minutes. Sometimes a compromise is the only way to a win-win solution. Annoying as it may seem at the time, your idea of a resolution may not be your partners. This doesn’t mean you’re letting someone walk all over you: compromise is a joint effort, and both of you need to recognise it. Ask your partner what they’d like to happen and explain what you are hoping for. Explore this together until you reach a compromise that works for you both. 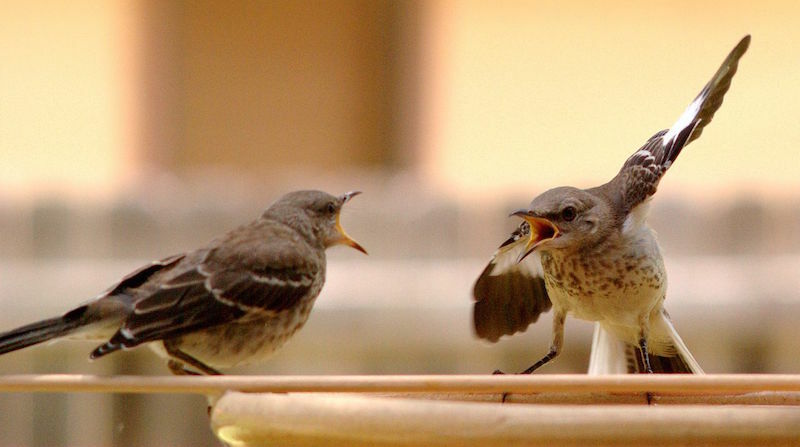 The majority of relationship counsellors don’t worry about couples who occasionally argue. It means things don’t get bottled up, problems can be ironed out and resolved, and you are able to communicate openly with your partner. So if you’re part of a couple that does bicker, don’t worry – you’re probably still doing okay! Obviously there are things to look out for. If the same argument happens over and over, or you feel uneasy in a relationship, then a more serious talk may need to take place or getting advice from a professional mediator may be an option. But for me and my boyfriend, arguing seems to be a natural part of being together. I’ll say things like, ‘hey remember that time we almost broke up over a gift bag?’ and he’ll say ‘please stop’ because only one of us has a sense of humour. Most importantly though, avoid gift bags.